← Competition Dining Series “Final Fire” Battle of the Champions Tickets On Sale Today at 7pm! Don’t forget, you can continue to use the unique discount code I’ve been given to share with my Triangle Explorer readers. 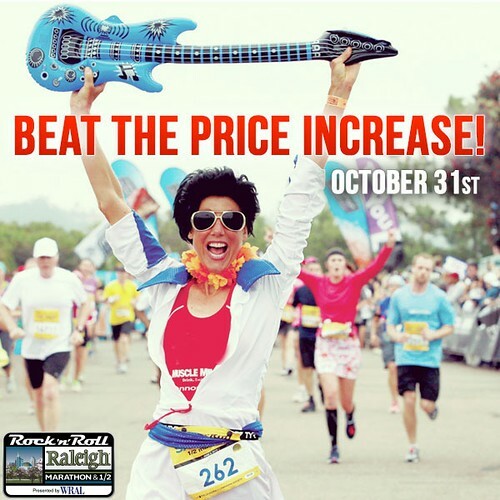 Save $10 by using the discount code “TRIEXPLORERAL10” when you Register online at the Rock’n’Roll Marathon website. This code will work as long as you register before April 6, 2014 and is good for both the full and half marathon. 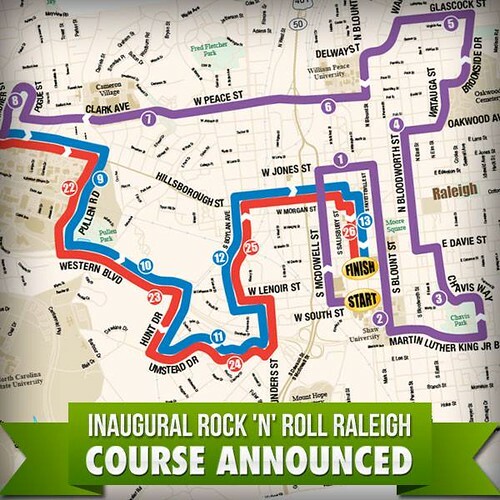 Official Rock ‘n’ Roll Raleigh Course Has Been Announced! You may have also heard last week that official course has been announced. I’ve shared a picture of the course below but you can also view the official course map on their website here and zoom in and out of the various areas of the course to get more details. The course looks great and features tons of sights throughout downtown Raleigh! Raleigh seems like such a cool race!